$11,500.00 Original "Ehrenbecher für den Sieger im Luftkampfe", or Honor Goblet for the Victor in Air Combat, in hallmarked silver, 1915-1917. A magnificent WW1 German pilot's award. $14,000.00 "Ehrenbecher für den Sieger im Luftkampfe", or Honor Goblet for the Victor in Air Combat, late WW1 issue in iron. Comes with a framed award document to a Lieutenant dated 28 July 1918. The recipient of the document was killed in action soon after receiving the award, just weeks short of the November armistice. An incredible, one of a kind set. $60.00 WW I Imperial German 1916 Service Cross for War Relief. 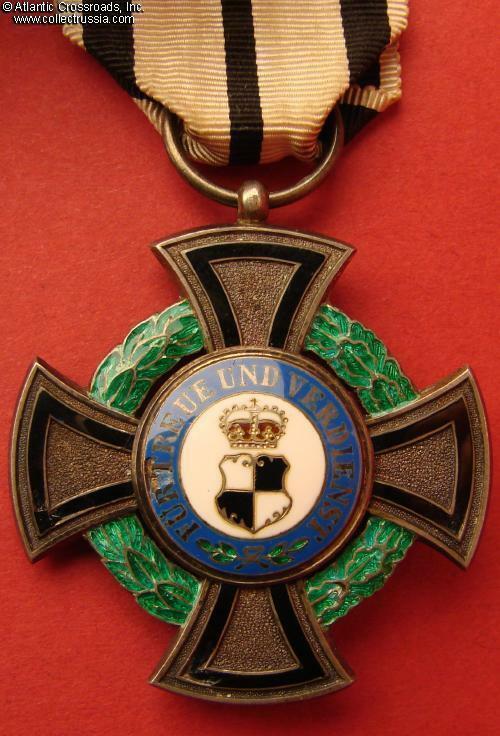 $225.00 Saxony Nursing Cross, Franco Prussian War. $39.00 Imperial Nonportable Commemorative Medal, for the 1000th Organ produced by the EF Walcker & Co. 1902. $1,100.00 Parachutist Badge, unmarked late war version in zinc. $965.00 High Seas Fleet Badge in tombak by Schwerin, Berlin.